Ozone is the strongest oxidant commercially available and is a proven deodorizer. 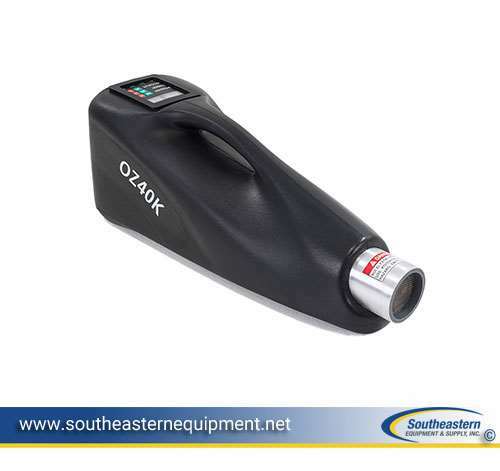 The OZ40K doesn't just cover up foul odors; it actually destroys the molecules that cause them. The OZ40K features a hermetically sealed severe application transformer that is designed specifically for harsh electrical and environmental demands imposed by continuous-duty corona discharge ozone generation. This transformer is a recognized UL component. The OZ40K has a high-density ceramic and stainless steel electrode corona discharge system, manufactured with stainless steel probes encased in ceramic with an outer stainless steel sleeve. There is no place for dirt or impurities to accumulate. They are maintenance free and are guaranteed for life, with no old fashioned plates to clean or corrode.